➻ Scott, 43, has spent 20 years excavating preserved history as the principal investigator for paleontology at Cogstone Resource Management, the Orange-based company working with Metro. 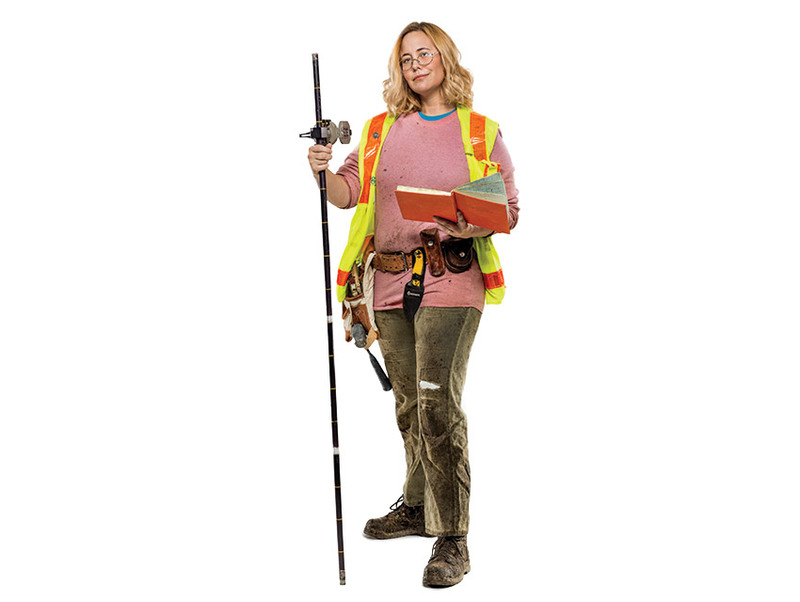 When transit agency workers dug a 70-foot exploratory shaft at the corner of Wilshire Boulevard and Ogden Drive for the Purple Line Extension project, she handled the historical discoveries, which included fossilized mollusks and digger pine cones. ➻ Scott’s job offers her a peek into L.A.’s past. Half a million years ago, Chris Burden’s Urban Light installation at LACMA would have been submerged in seawater and bordered by such flora as Torrey pines and 50-foot stalks of Monterey cypress. ➻ Mid Wilshire has proved to be fertile ground for fossils. Zed, the near-complete skeleton of an adult Columbian mammoth, was discovered in 2006 during construction of an underground parking garage at LACMA. ➻ Among paleontology’s most famous specialists is Jack Horner, who served as a technical consultant on Steven Spielberg’s Jurassic Park films. Horner spent 20 years researching gene reversal on chickens to create a “chickenosaurus,” which may exist five to ten years from now.